Courtesy photos Fort Wayne Ballet will perform Saturday during the Indiana Dance Festival. 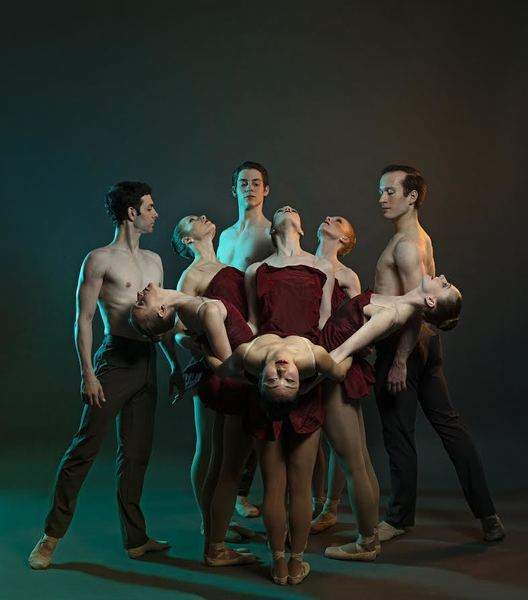 Elizabeth Shea Dance will perform Saturday night at the Indiana Dance Festival. Master classes include dance making/composition on Saturday. It is one of the classes available for people of all abilities. With Fort Wayne Dance Collective marking its 40th anniversary, artistic director Mandie Kolkman says the organization was looking for a guest artist for the spring that represents not just its history, but also the relationship it has with the community and where Fort Wayne is at as a city embracing the arts. So instead of a single artist, Dance Collective is bringing back the Indiana Dance Festival, which features dancers and groups from around the state including collegiate groups, established dancers and local talent from organizations such as Mikautadze Dance Theatre and Fort Wayne Ballet. “We have brought back some of the artists that have studied in Fort Wayne and have moved out of state to do bigger and better things, but they haven't forgot where they came from and they also recognize where Fort Wayne is going and they are honored to be here,” Kolkman says. One such example is Brett Conway, who will perform Saturday. The Fort Wayne native has danced with the Nederlands Dans Theater 1 in The Netherlands and Alonzo King's LINES Ballet in San Francisco. Dance Collective has hosted each of the previous three Indiana Dance Festivals, most recently in 2011. Planning for this weekend's festival began more than a year ago with the formation of a steering committee that includes Kolkman and members of other local education and arts organizations. Kolkman says the committee has worked to give the community something of interest to dancers and non-dancers alike. During shows at 7:30 p.m. today and Saturday, dancers will perform vignettes that express a story. Tickets for each show are $25 for adults and $22 for seniors, veterans, youth and students. Forms of dance on tap include ballet, contemporary and belly dancing. Not only are there live performances by over a dozen groups and individuals each night, but several “screendances,” which are similar to music videos. There are different things you can do with a video, such as using slow motion, that you can't make look natural in a live performance, Kolkman says. Fort Wayne Dance Collective filmed at the future Electric Works campus for a screendance that will be shown tonight. There are also panel discussions open to the public for $5 each. One has local speakers focusing on helping artists create collaborations. The other includes a representative of the Indiana Arts Commission and will showcase examples of how to get involved in the arts locally and across the state. Kolkman says the festival has put an eye on accessibility. Classes are available for dancers of all levels, even those who might be in wheelchairs. After tonight's performance, everyone will be invited onto the stage to be led through a movement series that includes five different rhythms. On Saturday, there is an after party so everyone can meet dancers from outside Fort Wayne. Though the festival is a good networking opportunity for dancers, Kolkman says anyone is welcome. For a full schedule of events and to buy tickets, go to FWDC.org/idf2019.